As always, Old Navy has the cutest things around, it's the first place I check for new arrivals! If you enjoy dressing your kids like small adults (as I sometimes do), Zara has tons of cute clothes out right now. 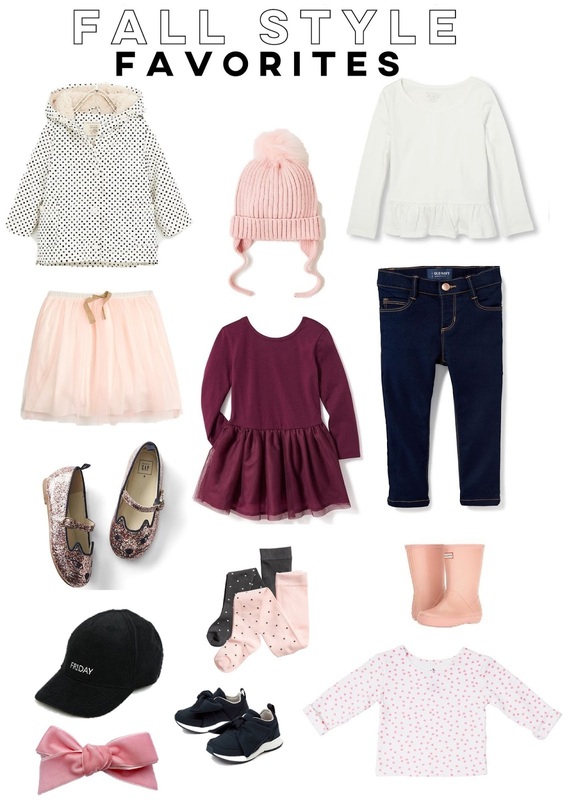 H&M and J.Crew Factory always have adorable things too, plus I'm loving some of the basic items at The Children's Place (like that peplum top above - we have a few colors and love it!). They almost always have free shipping and their prices really can't be beat. Tights and hats are must-haves for us here in New England for the fall + winter months (and usually spring, too). I love those polka dot tights above, and I also grabbed a bundle of June & January tights for Ellie on their buy/sale/trade Facebook page - I've gotten a few good deals on there, so definitely check it out if you love the brand! We also love our boots! I got Ellie's Hunter's on sale a few months ago, and was so excited to find them (in pink!) at an awesome price. 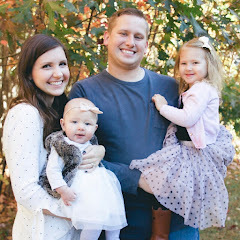 I was a little sketpical about buying Hunter's for my kids, but can honestly say the quality is great and they've held up so much better than a lot of Ellie's other shoes - especially nice since they will eventually be handed down to baby sis!